When you learn palmistry like a fortune teller a superficial glance is enough to determine the four elements one needs to consider when studying the palm of a person's hand. Fingers are first, next is the shape of your hand, then come the mounts (bumps of flesh) and, of course, the lines (minor marks are also occasionally taken into consideration). The prominence of a certain feature signals the importance of events in that department. While nearly complete absence of some characteristics can denote little to no importance that particular aspect will have in the person's life. When we learn palmistry, we are looking at one of the most fascinating parts of the human body. Possessing complexity not found in other (non-primate) species, our hands make us unique in more ways than one. If we take a look at our own palms, we will see an intricate pattern of lines and shapes that possibly no other person has. Just like our fingerprints, our hands are perfectly singular. It is possible that precisely from this fact arose the idea that our destiny may be written on them and that, by deciphering the intricacies they possess, we can have a peek into the future. It may be important to note that, even as we age, the lines and marks on the palms of our hands change very little throughout our lives. It's best to learn palmistry for "general" readings.  Those regarding overall destiny rather than the highly specific questions related to "here" and "now" that you would ask of a psychic. Fingers are judged by shape and size. The index finger is ruled by Jupiter, denoting the strength of your ego and your leadership skills. The middle one is that of Saturn, covering ambition, logic, family and balance. The ring finger, the Sun's domain, signals the amount of talent and creativity you may possess, along with your overall good fortune. The pinky, ruled by Mercury, prophecies skills of communication (or lack thereof). The thumb however carries little significance in palmistry. Matching the four elements in Astrology, palm and finger shapes are categorized by Fire, Earth, Air and Water. Solid Hands with square palms where wrist to fingers measures longer than fingers are categorized as Fire Hands. Spontaneous, energetic but hot-tempered. Short-fingered, with broad, square palms are called Earth Hands. Person likely works with hands. Practical, can be stubborn. Long-fingered people, with square or rectangular palms, are called Air Hands. Deep thinkers with highly developed intuition. Thrive on challenge. Oval-shaped palm, long-fingered people are considered Water Hands. Sensitive, creative, outwardly composed, but tense within. Mounts are visible bumps of flesh that can provide a lot of information about your physical and emotional makeup. There are seven of them, each ruled by a different heavenly body. Those right below the fingers carry the protection of the planets already mentioned being Jupiter, Saturn, Sun, and Mercury. While the mount of Venus (symbol of love) resides at the base of your thumb, opposite the equally spacious mount of the Moon (denoting intuition and imagination). Between these fleshy cushions are nestled the upper, the lower and the large plane of Mars (respectively giving insight into temperament, enthusiasm or propensity to aggression, and your level of self-centeredness). The Principal Lines run across the palm of your hand in various directions, the most notable being those of the heart, the head, and life (the latter always a particular point of interest and the only one the majority of the people can actually recognize). Minor lines include the health line, fate line, intuition line, ring of Solomon, bracelet lines etc. Those are joined by an endless number of markings and interruptions that may have a negative or an extremely positive significance, depending on their position and character. This is why palmistry is often considered a more advanced form of divination and needs a good deal of study before it is fully mastered. Starts on inside edge of palm, between thumb and base of the finger of Jupiter. Terminates at first bracelet, where palm joins wrist. The quality of the life line speaks to the person’s constitution, i.e. the clearer and longer the better. Faint, short, chained life lines bespeak delicacy and potential of illness. Those with a double life line live a charmed life. Extends from index finger to pinkie finger. Can contain pointers toward health and mental attitude towards love. You can tell if a person is a ‘good bet’ in affairs of the heart or just in it as a means to an end. Flirts, obsessive jealousy or cheaters can be spotted. A break in the heart line could mean a relationship’s end or physical problems with the heart. Located somewhere between beginning of life line and base of Jupiter (index) finger. Highlights hidden talents, aptitude and ability. Indicates intelligence or mental instability, even criminal tendencies. It should not be read as the be-all, end-all, but treated as a crucial link to other lines. Must be referred to frequently to form the big picture. Upon occasion, a Fortune Telling Palmist, after considering all the lines in a person’s palm, will conclude that person will not make old bones. Experience dictates to keep all disastrous thoughts to the reader’s self. The ancients believed the hand was a mini-horoscope. Philosophers have believed for centuries we have a link between our inner psyche and outer manifestation of self. Our hands are the best outer sign of inner being that we have.  While there are many conflicting beliefs about which hand to read when your learn palmistry, most professional fortune tellers will read your dominant hand only. Some palmistry books say the left hand shows characteristics you chose for the present incarnation; such as – strengths and weaknesses, and life lessons. And the right hand reveals how you put possibilities into play.